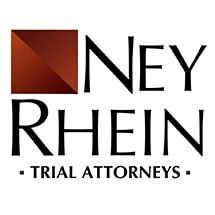 The Ney Firm has committed our practice to developing a comprehensive understanding of legal malpractice cases that allows our clients to recover maximum damages for the negligence and misconduct of their own lawyers. Our service to our clients is also a service to our profession. Our firm is dedicated to attaining justice for individuals who have been harmed by other lawyers. Even general practice attorneys who discover legal malpractice by others often refer their clients to our care. These referring attorneys know we will take care of their clients and fight diligently for them.